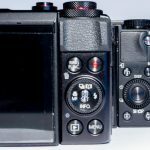 The choice of hardware is one of the major concerns for amateur photographers, especially given the vast multitude of available cameras and lenses. But some accessories can be equally hard to make up your mind about, this is all the more true when they cost several hundred dollars and are supposed to last for many years. This is the case of tripods, one of the first accessories that an amateur photographer will probably be interested in acquiring. That is why I wanted to write this detailed guide on the specific subject of tripods. Whenever you intend to use exposure times which are excessively long and which would cause blurring were you to use the camera in a hand-held position. This will often be the case with nighttime photography, but also whenever you want to use a long exposure, such as with an ND filter for example, or when taking photos of storms. Be sure to remember that in low light conditions, long exposure times do not help to capture a rapidly moving object – which will still be blurry even when using a tripod. Self-portraiture (or group photos of you and your friends – if you are tired of never being included in any of the photos you take). Certain creative effects which require either a long exposure time or for you not to be in direct control of the camera, such as lightpainting for example. Using techniques to manage high contrast scenes (wide dynamic range), such as HDR or exposure blending. If you are attacked by a grizzly bear, you can use it as a weapon (no animals were injured in the writing of this article :D). 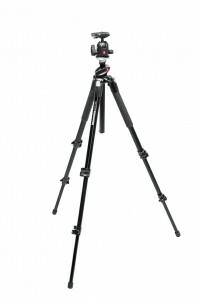 A tripod is extremely useful for the following types of photography: macro (in order to stabilize focusing), nature photography (to support the weight of the massive zoom lens without getting cramps in your muscles), studio photography (in order to have a stable platform and so that the model can look into your eyes instead of into the camera’s lens), and landscape photography (to achieve the best possible composition). This is a good example of something that is impossible to do without a tripod! This last point provides me with a good opportunity to underline one of the very positive side effects of using a tripod: it really motivates you to make your composition more precise, and as a result to improve the quality of your photos. Just to clarify something before getting to the heart of the matter: the #1 goal of a tripod (without which it is as useless as a space shuttle in the hands of your grandmother), is to be stable. This is the most important thing. The next most important aspects are its weight and its bulk (remember that you will need to carry it around! ), followed by other practical aspects related to your particular avocation (landscape photography, macro photography, etc. ), which are much more variable. Your budget will also play an important part in the compromise that you will undoubtedly need to make during your selection process. This is the first criterion, and the most important one: as I said before, if your tripod is not stable, it is as good as useless. Therefore, it needs to be able to support your camera’s weight without wavering in winds and tides (quite literally). Take into account your camera’s weight + the weight of your heaviest lens. If you don’t know these specifications, you don’t need to run into the kitchen to use the scale: just search for them on Google and look at Amazon type sites; it should also be indicated in the manual for your camera and lens. Next, choose a tripod that is able to support 1.5 to 2 times that weight: this will guarantee stability and provide a margin for future upgrades (if the weight of your photographic equipment increases in the future – which tends to happen whenever you go up one notch in component quality). This will prevent you from needing to buy a new tripod in a year and a half! In practice, the maximum permissible load (and resulting stability) is linked to the tripod’s weight: the heavier it is, the more stable it will be. You will therefore need to find a balance between stability and heft: a very heavy tripod will always be stable, but it will be difficult to transport. A tripod which is too light will be easy to transport, but will not be very stable. The trick is to find the right balance between the two considerations. There are typically two maximum heights: with and without using the center column. A picture is worth a thousand words. Folded, unfolded without using the center column and unfolded + using the center column. For comfort, when shooting, the tripod should ideally be around your shoulder height: adding the camera’s height will place the viewfinder at your eye-level, and you will not need to bend over and put strain on your back. However, if you are 1.90 m tall like me, this can sometimes prove difficult! However tall you are, the maximum height remains an important consideration: the greater the maximum height is, the more possibilities you will have for choosing the camera’s height. For example, there might be a nice landscape behind a wall that you want to take a picture of, and if your tripod is too short, you won’t be able to. The minimum height at which the tripod can be placed is also important: the lower you can go, the more creative possibilities you will have. 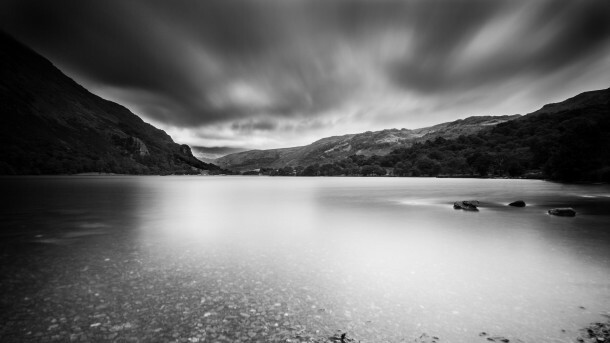 For example, I like to use an ultra wide angle in order to reinforce the effect when photographing landscapes. This is also a very important criteria for macro photography, which often requires being able to take pictures close to the ground. a reversible center column which does allow you to get the camera close to the ground, but it will be “upside down”. A very wide angle, a directional center column, a reversible center column. Sometimes these characteristics combine together to offer more flexibility to the user. For this criteria, consider your usage requirements: if you do not need an especially low minimum height, stick with a model that has very wide-opening legs – it will be good enough under most circumstances. This is an important criteria for ease of transportation: in fact, the smaller the tripod is when folded, the easier it will be to take on an outing or to fit into a suitcase. 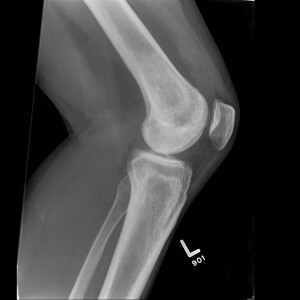 The folded height is mainly dependent on one factor: the number of leg segments. Indeed, the more segments the legs have, the smaller the tripod’s folded size will be (which is only normal, since you are dividing the length by 4 or 5 instead of by 3). There is one obvious downside to this however: the more segments there are, the less stable the tripod will be. Normally this will not be a problem if you have chosen a model with an ample margin of maximum permissible load, except under extreme conditions like in high winds – which can cause tripods with thin legs to tremble. I will tell you something right off: do not even consider buying a plastic tripod. They are not stable enough to be used for photography and will probably only last you 3 days. I know that they can be appealing because of their low price, but you will regret ever having bought one – it will be a waste of 30 dollars. Instead, buy one that is made either out of aluminum or carbon fiber. Aluminum is the most commonly used material: it offers a good compromise between stability, solidity and cost. Carbon fiber is clearly one notch higher: for the same amount of weight, it will be more stable (or lighter for the same amount of stability), more resistant to vibrations, and in general, more durable (better resistance to salt). Basically, carbon fiber allows you to make less of a compromise between stability / heft, making it easier for you to get all of the features that you may need. The downside is obviously its price: expect to pay 50 % to 100 % more than for an aluminum model. If you can afford to pay the price, don’t hesitate to go for carbon fiber, otherwise a good-quality aluminum model should satisfy your needs, don’t worry. 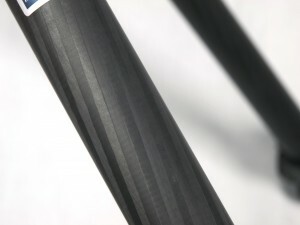 Carbon fiber, a great material, but a very expensive one! Latches: you pull them out to unlock, and push them back in to lock again. It is very fast and easy to do and the system is lighter than the alternative, but it is also a little bit less durable (although, personally, I have a tripod that uses this system, and it has being going strong for 4 years). Screws: you unscrew them to unlock and screw them back in to lock the legs again. Since this needs to be done for each leg segment, I find this to be slow and tedious: this can be annoying if you fold and unfold the tripod very often. This system is heavier, but it is also more stable and more durable. It is really a matter of personal preference: you should try both systems out for yourself in a store or at an event such as a photo fair in order to determine which one you prefer. The latch system and the screw system. In addition to its legs, a tripod needs to have a component that allows you to mount the camera and to move it around easily: this is the tripod’s head. You can buy the base of the tripod and a compatible head separately or you can buy both together in a kit. Kits sometimes include a tripod base and head sold together (which lowers the price), but sometimes the head can not be detached from the rest of the tripod. This is not a serious problem if you have chosen a model that pleases you, but it is troublesome if you ever want to change the head in the future without replacing the rest of the tripod… It is often more expensive to buy both components separately, but it also gives you more upgradablility. Personally, I recommend that you choose a model that satisfies your needs, that you try to find a kit for it, and if possible that you choose a head that can be separated from the rest of the tripod (although this is not a totally indispensable consideration). There are a number of different types of heads available, but I will only be discussing two types which are of particular interest for photography: the 3D head and the ball-joint head. 2D heads are really hell on Earth since they don’t allow you to modify the tilt of the camera: if your horizon is not level, you will need to change the length of one of the legs, which is slow and annoying. 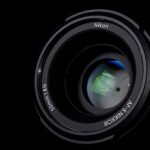 As for fluid motion video heads, they are specialized for use with a video camera and are not really made for photography. 3D heads have 3 different screws for making adjustments along the 3 different axes (which explains the name). The advantage of this system is that it is very precise: you can easily adjust each axis independently from the others. The downside is that it is not the fastest system (although with a little bit of practice, you will learn to adjust it quickly). This type of head is recommended for use in applications which require more precision than speed – landscape photography for example. This type of head uses a completely different system: one single screw allows you to free the ball-joint to which the camera is mounted. 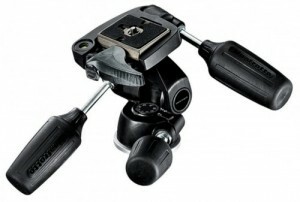 This will allow you to freely move the camera along all 3 axes and then to tighten the screw when you have finished. The advantage is that it is very fast to use. However, I find this system to be less precise. Good-quality ball-joint heads have a second screw to adjust the resistance on the ball-joint when it is loosened, which helps to make more precise adjustments. However, I still prefer 3D heads for landscape photography. 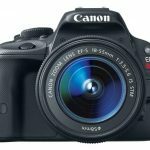 Ball-joint heads are useful for those types of photography which require you to change the camera’s position quickly such as nature, sport and macro photography for example. Making the choice between the two systems is really a question of personal preference: I really recommend that you try both systems out in reality before making your decision, since you might not agree with my opinion! There are some other optional features which you may or may not find useful depending on what you intend to do with your tripod. The first is something which I wouldn’t really call an “optional” feature: in fact if the tripod doesn’t have this feature, don’t buy it! 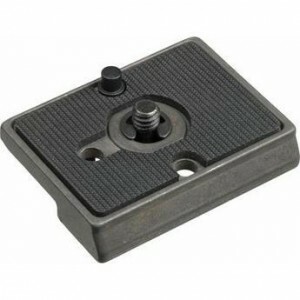 I am talking about the quick release system: you attach the camera to a plate and this plate is then attached to the head, making it possible to quickly and easily remove the camera. This feature is absolutely indispensable for being able to quickly set up and dismantle your tripod: without this feature your tripod will be so annoying to use that you will probably end up putting it away in a closet and never using it again. Most tripod heads have this feature, but I am just pointing this aspect out in case you come across a tripod using 19th century technology. Since we are speaking about indispensable features, do not buy a tripod that DOES NOT have independently adjustable legs: since oftentimes (much more often than you might think), you will need to make one leg longer than the others. Believe me! A bubble level on the head, which allows you to make sure that your horizon is perfectly level (this feature is unnecessary if your camera has a built-in level). A short column which helps in macro photography. 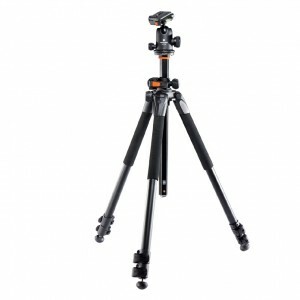 Retractable spikes on the tripod’s feet give it improved grip on certain types of surfaces. 6. How much should you expect to pay? An essential consideration will of course be price. I might as well just say plainly that, for under 100$, you should not expect to be able to buy an amazing tripod at least in terms of being able to support the weight of a reflex camera; I recommend that you set aside a minimum of 100-150$ for a tripod which will last you for a long time (200€ if you can afford it). 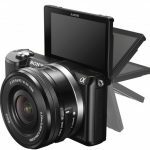 You might be able to pay a little bit less if you have a light-weight camera (such as a hybrid), but even then I don’t think that you will be able to go any lower than 80€. Think of this purchase as a long-term investment: tripod technology does not change very much over time and investing a little bit more today will guarantee that your tripod will last you for years to come. 7. What brand should you choose? This is one of the big questions that is raised whenever there is the need to make a choice of hardware: what brand should you trust? First of all: avoid at all costs those unknown Chinese brands sold at Carrefour for 30 €. 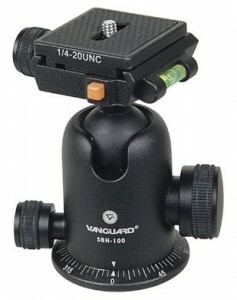 I recommend that you concentrate your efforts on the two leading brands: Manfrotto and Vanguard. OK, I’m sure that there are other equally good brands, but do you really have the time to research them? Wouldn’t you rather pay a little bit more and be 100% sure that you are buying a trustworthy brand? Furthermore, there are a lot more comparisons which have been done on these two brands – which means that there will be more available user opinions. · 055 series: geared towards demanding amateurs and professionals, this series is able to support a weight of up to 7-8 kg and costs around 200$ (aluminum) or 500$ (carbon fiber), including the head. Please note that the slightly better 057 series is able to support twice this load. · Befree series: designed for demanding traveling photographers, these tripods are more compact, but are still able to support up to 4 kg and cost between 100 to 300 $ depending on the material you choose. · Abeo Pro series: geared towards demanding amateurs and professionals, it is able to support a maximum load of 8 kg and costs between 200 to 550$ – head included. · Alta Pro series: rival to the Manfrotto 190 series, able to support a maximum load of 3 to 8 kg depending on the model, with a price ranging from between 150 to 400$. · Alta CA series: for enlightened amateurs with small reflex cameras (maximum load of 5 kg), and a very appealing price of between 70 to 150$. · Nivelo series: very compact tripods conceived for hybrid cameras, able to support between 2 to 3 kg and costing 70 to 100$. And if I don’t feel like giving the question much thought? I can understand that for some of you, going through the different tripod product lines is about as appealing as walking on hot coals while eating crickets. So, what model should you choose if you really don’t feel like doing much research? · The Manfrotto 190XPRO3 (which I own) is well suited to all small reflex and hybrid cameras: it is able to support a 5 kg load, only weighs 1.8 kg, and is sold for a reasonable price. It can be bought in a kit with the MH804-3W head. · The Vanguard 263AT (which I also own!) is better suited to bigger reflex cameras, due to its 7 kg maximum load capacity. It can be bought in a kit with the PH-32 3D head or the SBH-100 ball-joint head. The price is still reasonable (under $150) given the quality of the tripod. Since I am aware that all of these different criteria may get confusing, I have made a small summary table based on the stability/capacity compromise. That’s it, I hope that this (long!) article will help you to find your way through the confusing jungle of product offerings. Do not hesitate to post your comments and questions, and to share your thoughts with our other distraught readers who are also trying to make up their minds. Previous G-Sync vs. VSync vs. Freesync? What’s the Difference?